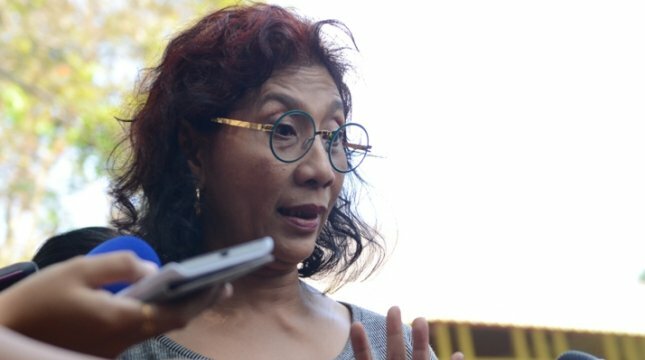 INDUSTRY.co.id - Jakarta- Minister of Marine Affairs and Fisheries Susi Pudjiastuti said Indonesia can be a big country, if we really work hard to achieve it. For that, he said, we must be willing to change the way work because today with the speed of technological progress and digitalization and globalization we can not weigh the need to change the workings. "It means we have to run, we can not slow down anymore," he said. For that Susi hope the University time to review the curriculum to be changed. Because we can not use the curriculum 5-10 years ago. "This should be the homework of academics," he said. In addition, he said, we also must maintain the order of democracy to continue to be on the right track. Provision and legal certainty must also be true. Because if the law gets corrupted then the social order at a state will be destroyed. He said the growth of Indonesia's population is increasing and also the existence of demographic bonuses and the era of digitalization or millenials increasingly widened. "Conventional job-job will be lost because of digitization, machinezation will continue to grow," he said. Susi says if we do not prepare and make 'barrier safety' that is directing and placing surplus demography hence will big danger. In fact, the minister says, digitizing also opens new jobs, but how much can be absorbed by our workforce. "I may be too anxious, but I am really appealing to university experts to start preparing educated people. He said, although there are politicians who warned this country will be saddled and there is also another politician who states Indonesia will become a big country. "Law becomes an important pillar because the law is a civil society characteristic, if forward usually the certainty of good legal order, if not then there is no ethics," Susi said.